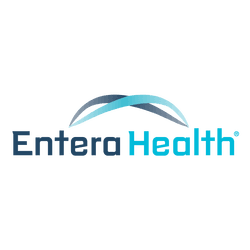 NEW DATA PRESENTED BY ENTERA HEALTH, INC. AT 2015 DIGESTIVE DISEASE WEEK (DDW) - Entera Health, Inc.
Entera Health, Inc. announces today three poster presentations that were given at Digestive Disease Week DDW® 2015, which was held in Washington, D.C. on May 16-19, 2015. Dr. Christopher Fourment (Texas Digestive Disease Consultants, Plano, TX) presented for Dr. Manisha Dave two male infants who were given SBI after experiencing severe diarrhea and failing to respond to probiotic therapy. The first patient, a 9-month old male infant, had received several rounds of antibiotics and probiotics (Saccharomyces boulardii lyo) following positive stool cultures for Clostridium difficile, but continued to experience diarrhea and steady weight loss. Two days after starting SBI administration (5 g daily) the patient was having 1-2 formed stools per day, his appetite had returned, and he began to gain weight once again. A second patient, an 18-month old infant with a 4 week history of idiopathic diarrhea, continued to lose weight despite a normal appetite following dietary modifications, hydration therapy, and probiotic therapy (Lactobacillus GG). One week after starting SBI therapy the patient was regaining weight and no longer experiencing chronic loose and frequent stools (1-2 normal bowel movements per day). Dr. Thomas Taxman (Institute for Women's & Children's Health, Beachwood, OH) presented a second case report on the impact of SBI therapy on a pediatric patient with persistent diarrhea due to either antibiotic treatment or small intestinal bacteria overgrowth (SIBO). The patient was a 27-month old female with a medical history of intestinal malabsorption, intolerance to cow’s milk/soy protein, and more recently, persistent diarrhea (5 stools per day) with recurring bouts of irritability and abdominal spasms following treatment with broad spectrum antibiotics for sinusitis. The patient was clinically diagnosed with SIBO and placed on SBI therapy (2.5 g BID). Within 2 days the child was no longer experiencing abdominal spasms, watery, loose stools or irritability. SBI therapy was discontinued after 3 days and follow-up examination indicated continued resolution of the loose stools and other symptoms caused by SIBO. Dr. Christopher Detzel (Entera Health, Inc., Ankeny, IA) presented results from a study that evaluated the impact of SBI on markers of intestinal inflammation, tryptophan metabolism and the microbiome in a mouse model of colitis. Laboratory mice with a defined intestinal microflora (Altered Schaedler flora; ASF), originally isolated from a Crohn’s disease patient, were fed either SBI or a control protein (hydrolyzed collagen) and challenged with dextran sodium sulphate (DSS) and a strain of E. coli (LF82) to induced colitis. Results showed reductions in histological evidence of inflammation in the colon and cecum and kynurenine/tryptophan ratios in cecal biopsies following ingestion of SBI compared to HC. Changes were observed in the relative composition of ASF and LF82 bacterial communities in the cecum, colon and feces, with DSS having the largest impact. Authors concluded that SBI therapy helped attenuate intestinal inflammation and improved metabolic homeostasis without significantly impacting the composition of the microbiota in this mouse model of colitis.